Mason jar centerpiece idea for table – weddings, showers, holidays. Where were all the mason jars when I got married almost 19 years ago? Probably hidden behind pantry doors – or in the dark recesses of basements – being used as they were intended to be used. For canning. … and those pickled beets pickled. … and in how many crazy ways we would use them. and fall head over heels in love with them! 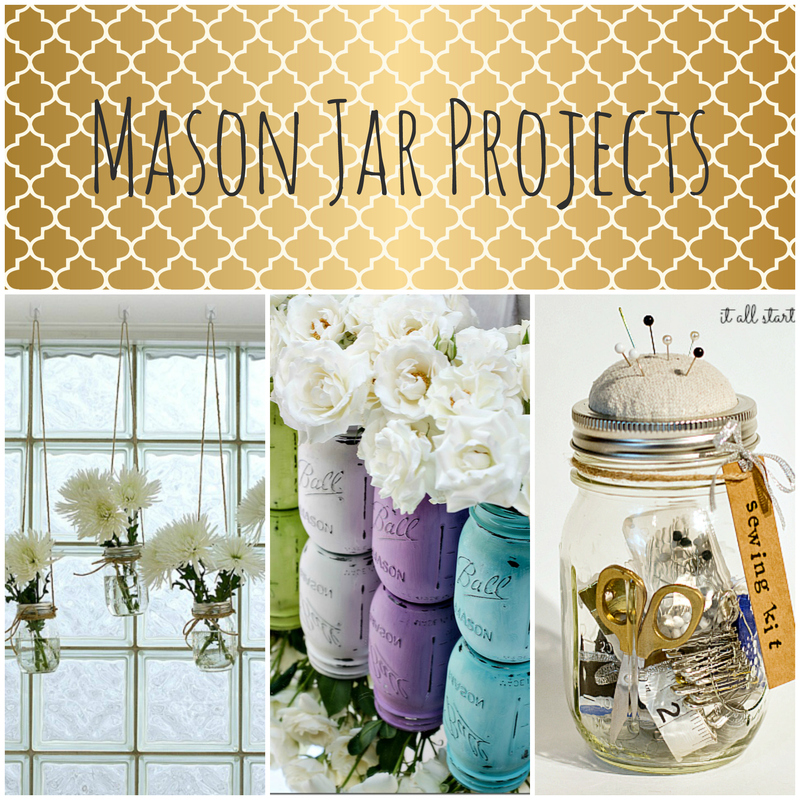 For even more non-traditional mason jar ideas, check out my Mason Jar Gallery. Perfect flowers. Perfect photography. Perfect editing. Love it. LInda, my friend, how are you? I thought you had gone on some sort of blogging hiatus, only to discover I’m not getting your updates in Bloglovin’. Oddly enough I had to unsubscribe and re-follow you. I am happy to report it would appear all is working now. 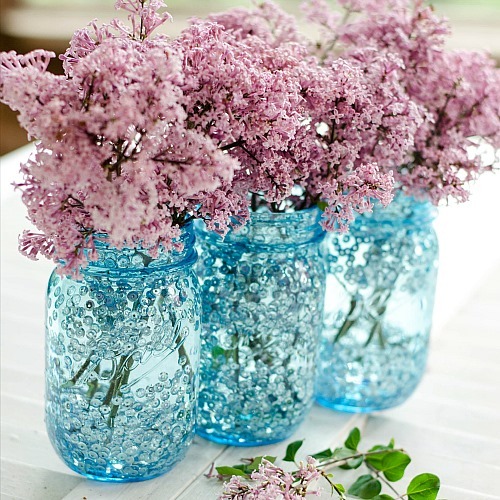 Love the pieces you are doing on mason jars!! I think one could say I am slightly smitten with jars, canning jars to be exact. but every different variety you can come across! Have a wonderful day! This is so funny and so true! If grandma only knew what we were paying and doing with her Mason jars!! lol! 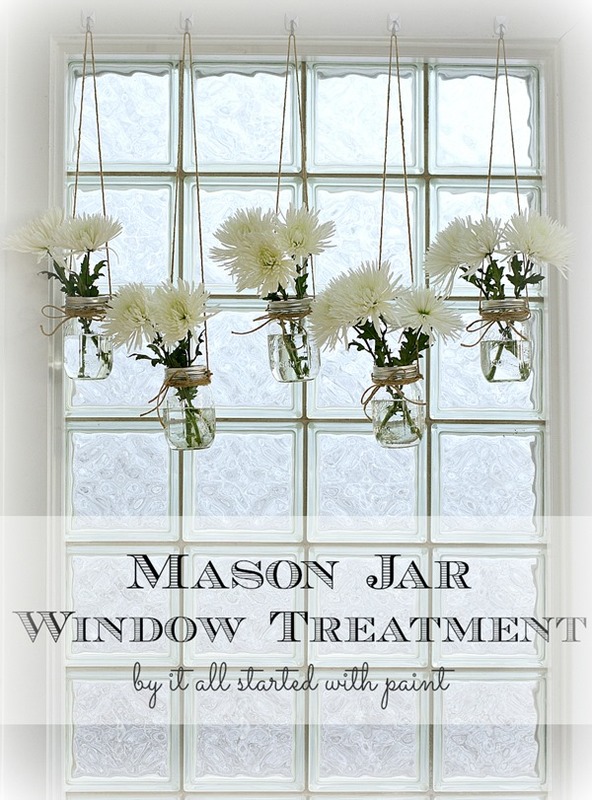 Cool post, there are so many things you can do with leftover mason jars! A great product to recycle! Thanks for sharing the post! You are the Mason Jar Queen, Linda! 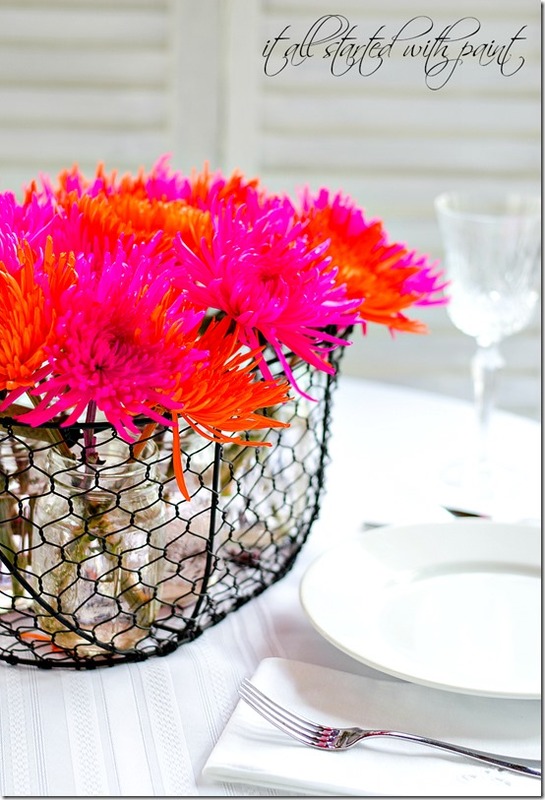 Love the flower arrangement – so colourful! Never would have thought to group them and them put them in a basket. Great idea! 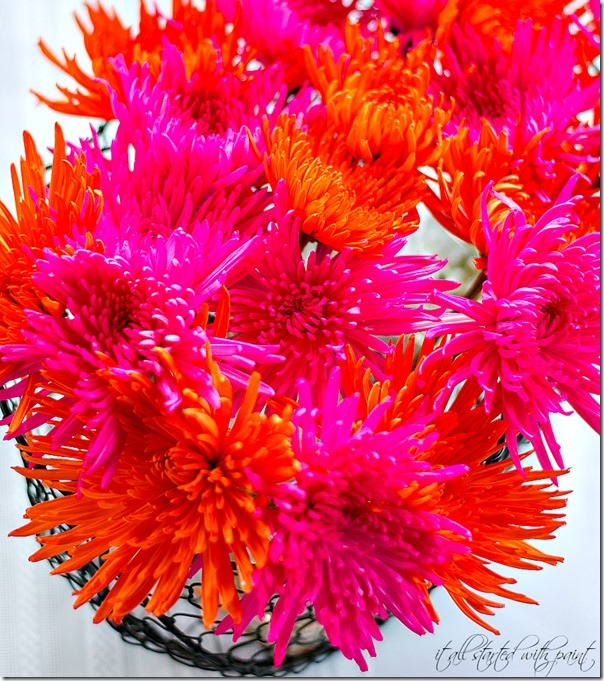 So very pretty — LOVE the flowers — a much-needed burst of color on these dreary, non-spring-like days! Great idea to group them in a basket like that! 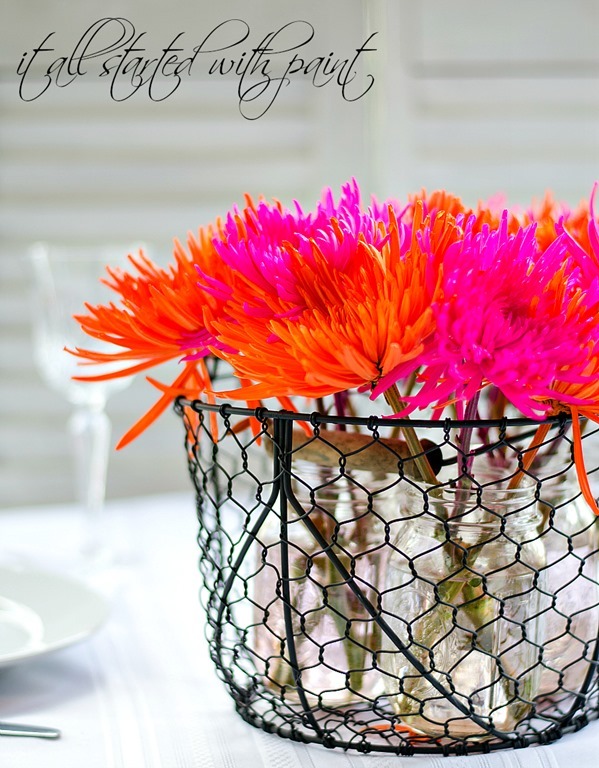 You make mason jars look so chic!…gorgeous pictures Linda!! Just when I think you couldn’t possibly come up with a new idea for mason jars you prove me wrong. 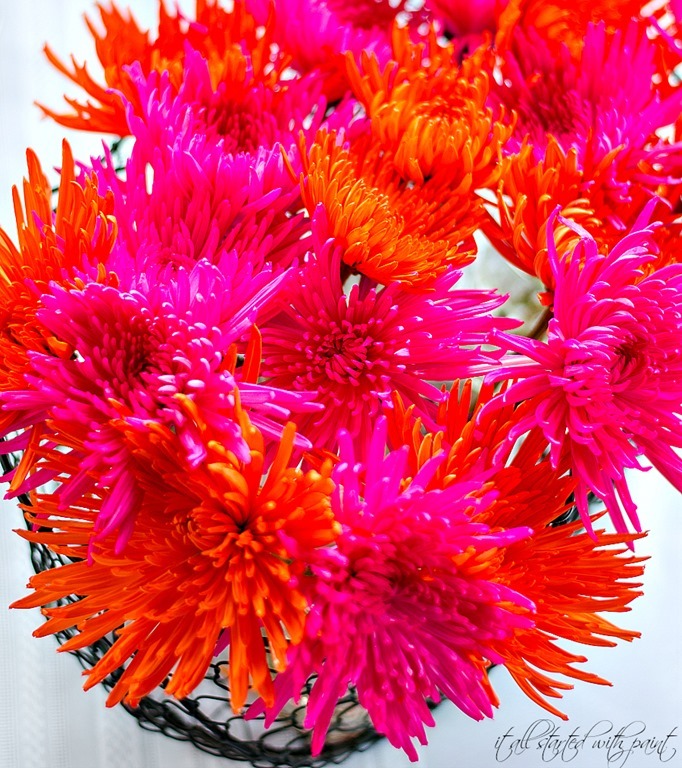 Love the flowers and your photos are incredible! 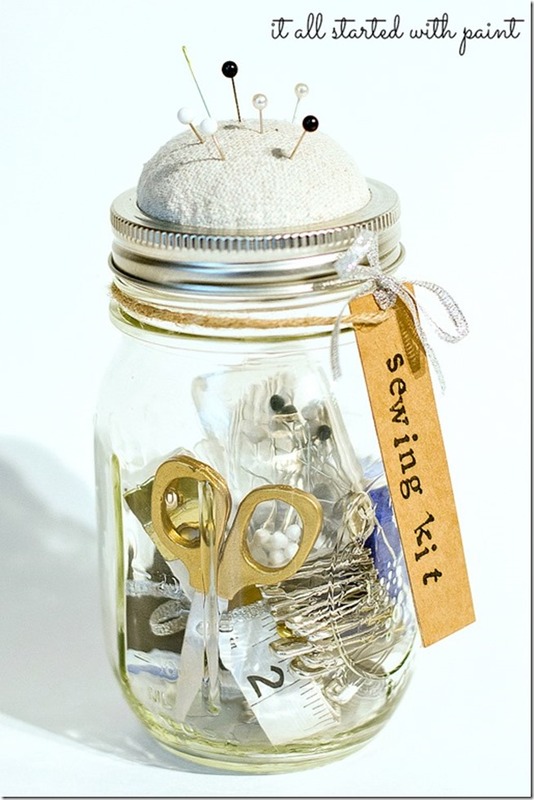 Those poor canning purist, running out to stock up on mason jars to store away jams and tomatoes only to realize they are the latest crafting trend 🙂 Your mason jar creations have been very inspiring. Actually, a bunch of them were out in te chicken coop, holding nails and screws and stuff. 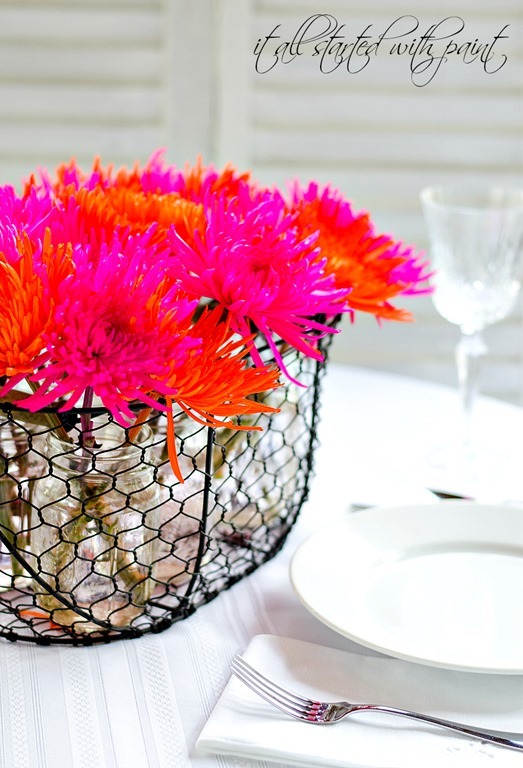 You would have NEVER used them as centerpieces. PS–where’s the book? There are probably so many tucked away in basements, barns etc. 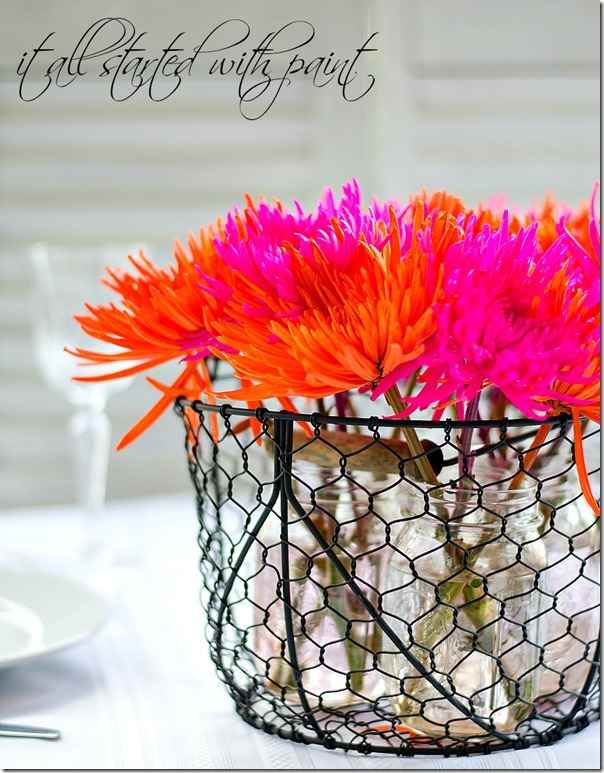 They are such a tried and true product and it’s nice they are such a focus in everyday decorating. Wonderful ideas. I love your painted jars but one thing that has kept me from the project is that I use them as vases for pretty cuttings and so they need water. I don’t know anything about paint except I get it all over me and everything else when I use it. Is there an oil based paint in pretty colors that could go in the jars, dry and then accommodate water? I noticed your pretty jars were “water resistant” but I got the impression that they would not sit well half filled with water. 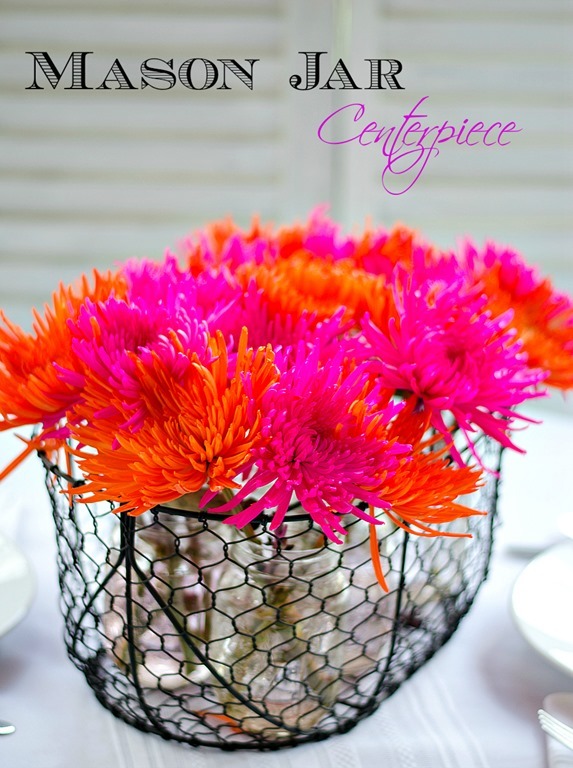 Love this centerpiece you created! After all your mason jar posts and that fab new gallery, I’d be shocked if there are any left on the shelves at the store! Always a pleasure to pop over Linda to see your lovely projects. LOVE mason jars.